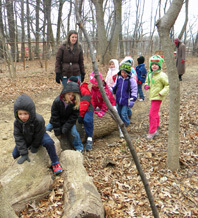 The Heritage School Outdoor Classroom, Discovery Woods and Gardens were developed to create a true discovery science environment for preschool and kindergarten children. They were created through the design, restoration and rebuilding of a 1900’s historic garden located on campus in a woodland setting. The addition of a curriculum and the hiring of a Discovery science teacher allowed for the development of a culture of curiosity, observation and critical thinking. With the help of parents and staff, countless volunteer hours brought forth this beautiful learning environment which is used in all kinds of weather. 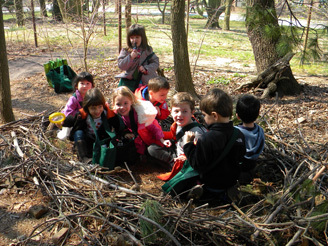 Children are able to observe and feel the seasonal changes that take place in nature. 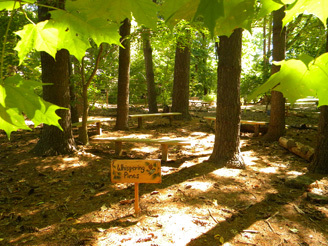 Areas of the outdoor classroom were given creative and original names such as: Critter Patch, Creation Station, Music Grove, Chapel in the Woods, Fire Pit Amphitheater, Nesting Nook, Curiosity Corner, Whispering Pines, and Raccoon Romp. 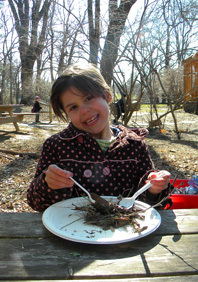 Heritage School experimented with planting a variety of native, shade plants that have interest, texture; blossom at various times with seasonal color, and which attract wildlife. A unique blend of trees, shrubs and perennials were planted throughout the space. To maximize beauty, the space was designed with the flow of the land, with pathways curving around shrubs and pergolas placed at the entrances. Rock walls and a rock garden add interest and establish boundaries. Tree slices were used for stepping stones, stumps for various stools and edging. Whimsical signs, figurines and use of materials from the original woods and gardens have been used. Statues of a raccoon and bear were carved out of stumps and placed in the classroom. Family involvement included work days, fundraisers, and volunteer programs. 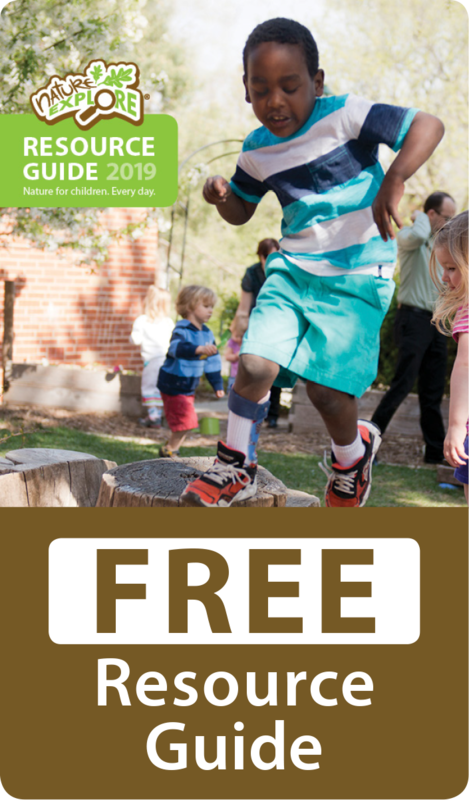 Promotional booklets, school and class newsletters, flyers and the website all promote the Discovery Garden and the many programs held there. Heritage School invites all to return often and enjoy the serenity of the beautiful setting.